The present work is recorded in the Hillman/Adams Catalogue Raisonné as 1960/1 and Opus 87. A. Grieve, The Sculpture of Robert Adams, London, 1992, p. 190, no. 294. Triangulated structure No. 1, for which the present work is a maquette, was shown at the fifth London County Council (L.C.C.) open-air exhibition in Battersea Park in 1960. The first L.C.C. exhibition took place in 1948 as a post-war initiative to make sculpture more accessible to the public. 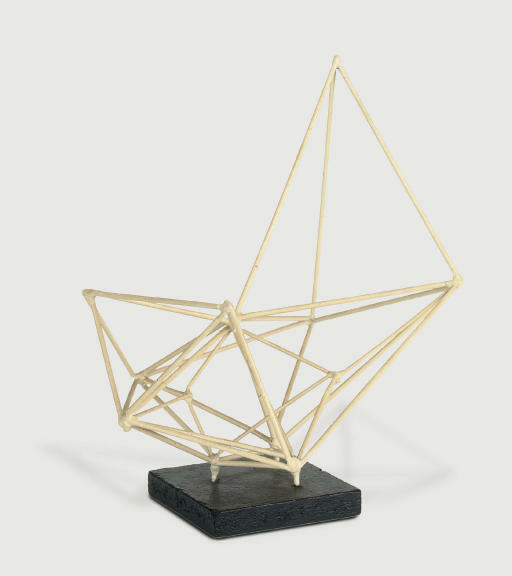 Triangulated structure is made up of steel rods which form triangles centred at the core of the work, enlarging and developing from the core outwards.